Micro-needling Therapy also called Collagen Induction Therapy (CIT), and Percutaneous (through the skin) Collagen Induction (PCI) is a non-invasive procedure that reduces the signs of aging, minimizes scarring, boosts collagen production, reduces hyperpigmentation and pore size, prevents premature aging, treats stretch marks, minimizes the appearance of age spots, helps improve texture and improves the appearance of rosacea. 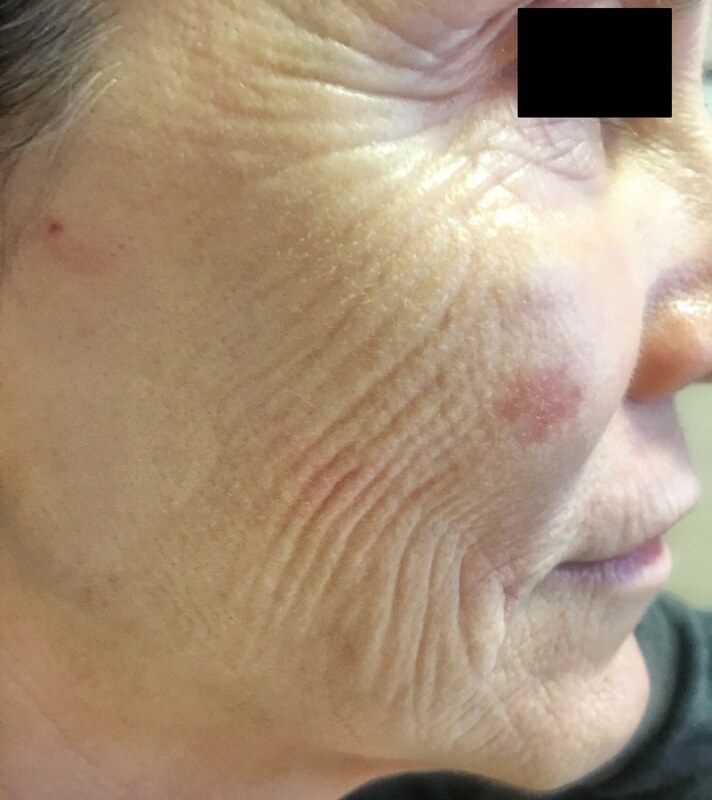 Read one Washington, DC area patient’s experience with micro-needling w/ PRP, PRP injections and IPL. When people started to ask me if I’d been getting more sleep or doing something different, I knew I was on the right treatment path. 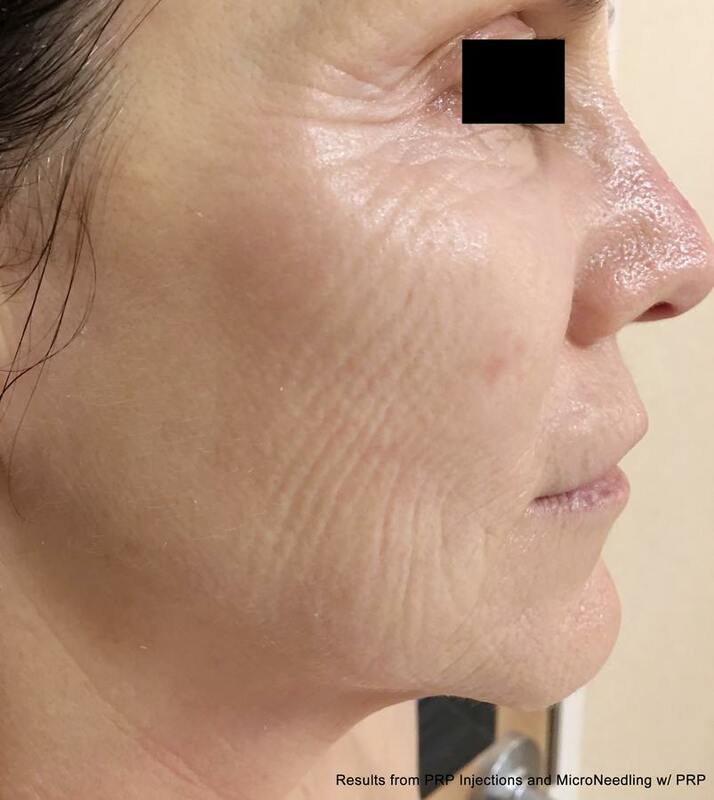 I’m so thrilled with the microneedling results that when they asked me to write about my experience, I was delighted to do so. Feels like: Most of it isn’t that bad. It’s sort of a sandpapery feeling- maybe more of a vibration. Recovery time: I had redness for a couple days, but nothing major. You’ll leave the appointment fairly red and with your plasma still on your face, so I wouldn’t plan anything directly after. Helpful hint: Get the numbing cream, and follow up with the ZO Skin Health product line they recommend for you. I’ve never had face creams work this well. Best part? I have a plumpness and evenness to my skin I’d thought gone forever. My wrinkles and crows feet have softened, so I’ve been ok going without Botox (a huge milestone for me). Would I do it again? Yes, absolutely. Feels like: An injection is all I can say, but it’s quick and you do get numbed. Around the mouth hurt the most to me. Recovery time: Expect some fairly spectacular raccoon-like eyes for three days or so, but it’s easier to cover up after that. My bruising was completely gone in around a week. Helpful hint: I’d highly recommend that you get some stage makeup to help you cover up the bruising. Best part: My eyes look less tired and crepey, which is great, but I’m really thrilled with the results around my mouth. I’ve never been a smoker but was cursed with ‘smoker lines’ that really bothered me. These have been considerably smoothed out! Feels like: A rubber band snap- IPL was not painful to me. Helpful hint: None! This was the fastest, easiest part of my treatment plan. Best part? This worked really well on one lingering sunspot I had. The treatments are spaced about six weeks apart. I noticed an improvement about five weeks after my first treatment. Approximately a month after the second treatment was when I started to see dramatic improvements and the compliments began to fly. My goal has always been to keep my look as natural as possible, and I love that I’m actually fixing my skin from the inside, not just masking the problem. My skin looks healthier, plumper and more even, and certainly has a more youthful glow. 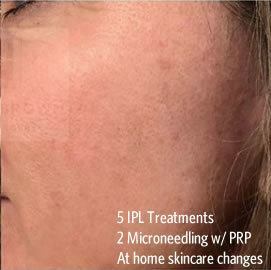 I’d highly recommend IPL, microneedling w/ PRP and PRP injections, or any other combination that Bruno|Brown Plastic Surgery recommends specifically for you. The mechanical action of the pen creates tiny channels at a specific controlled depth that triggers the body’s natural healing process to fill these microchannels by producing new collagen and elastin in the papillary dermis. In addition, new capillaries are formed for improved blood supply. 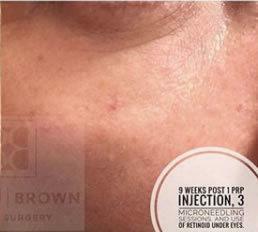 Combining micro-needling with the body’s own PRP (Platelet Rich Plasma) is used to kick start the healing process. 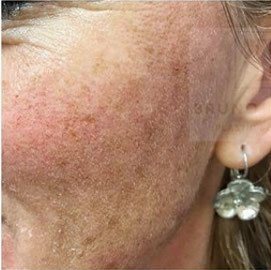 The rejuvenation action that is started by the micro-channels is dramatically enhanced by the growth factors contained in the PRP. PRP is obtained by drawing a small amount of blood from your arm into a sterile tube. 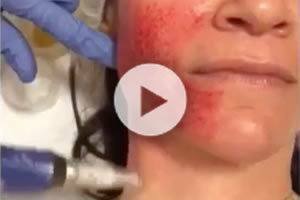 It is crucial to healing which is why PRP is applied topically during and after the micro-needling procedure to ensure that the PRP gets fully absorbed. 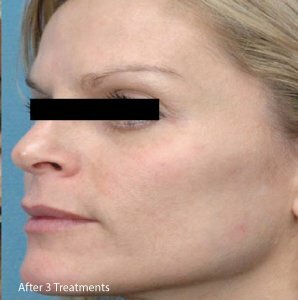 The PRP supercharges the micro-needling benefits, virtually eliminating side effects and speeding up recovery time. 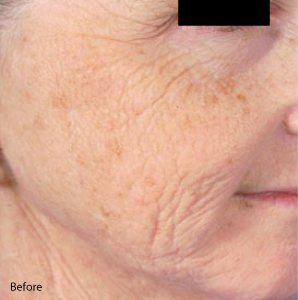 Why Should I Consider Micro-needling? 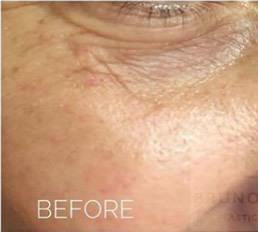 With Micro-needling, the top layer of the skin is penetrated without being damaged, leaving the skin intact. The needle penetration depth can be adjusted so the pen has the ability to rejuvenate not only the face, but the body as well. 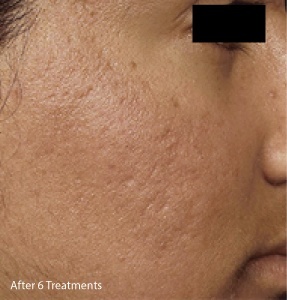 Micro-needling will consistently trigger the bodies repair process until the desired level of skin rejuvenation is achieved, and you can see results for up to a year post micro-needling session. 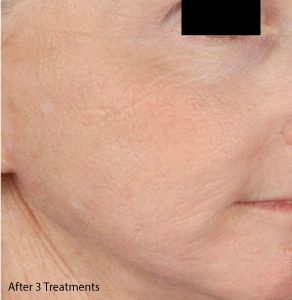 Micro-needling results in the production of new collagen and elastin, improvement in skin tone and texture, firmness as well as reduction in scars, pore size, and stretch marks. 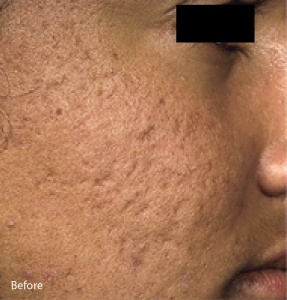 Unlike many ablative procedures, micro-needling has very few contraindications and is safe to use on all ethnicities and has very little downtime or side effects. 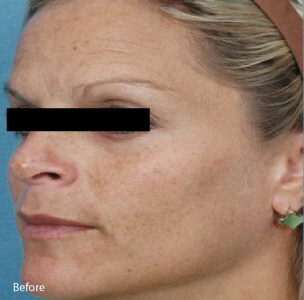 Are you interested in seeing if Micro-needling is right for you?